When planning your trip to Germany’s capital, make sure you touch down at TXL ! 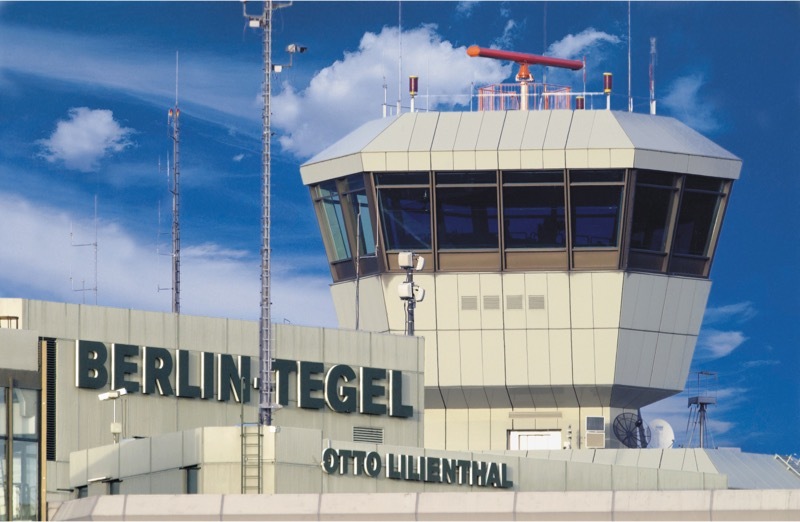 Or „Flughafen Berlin-Tegel – Otto Lilienthal“, that’s the full name of Berlin’s main airport. Nonstop-flights from NYC, Bejing or Qatar, but also from all over Europe and domestic german flights arrive here, just five mile northwest of the city centre. And you can be sure that you‘re going to experience your first highlight right away ! Upon disembarking your aircraft you can already see the ones that will pick you up. So don‘t forget to grab your bag from the baggage belt on the way out, but wait, at times this can take a perceived eternity. However, with just a few steps further on you‘re already sitting in the vehicle bound for the city. Tegel airport as we know it today was opened in 1974, when the Berlin Wall was still up. It was designed by the famous GMP-architects, catering mainly for the many briefcase-carrying travellers hopping into and out of walled-in West-Berlin. Laid out for 12 million passengers per year arriving and departing, TXL nowadays stretches all its resources, handling more than 20 million air travelers in 2017. Thus making this the most perfect daily makeshift operation of any major airport. After closing down the highly iconic Tempelhof Airport, the „Mother of all Airports“ back in the 1920s, by 2008, Berlin airtraffic these days concentrates on just TXL and SXF, the former airport of East-Berlin. Here, in the south-east of the city, several low-cost carriers dominate the scene, along with some carriers from Russia and other CIS-countries for some historical reasons. From the facilities at SXF though, you can recognise the shape of things to come. 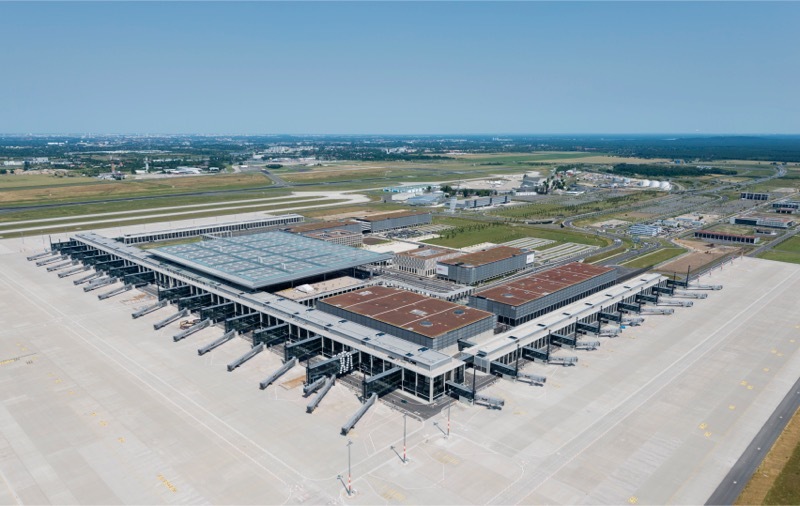 The huge future BER airport terminal. Due to open in 2009, then 2012, revised to 2018, now the opening is estimated for 2020. The ever optimistic public building principals ( City of Berlin, State of Brandenburg and the Federal Republic of Germany ) keep reassuring the taxpayers and airtravelers to get BER online against all odds. Building costs have more than doubled to more than 8bn US$ as per today. No „Vorsprung durch Technik“ of leading german technology firms involved in sight, the opening year is becoming an issue of growing acid content. Looks like finished, but is not. More than ten years after planned opening Berliners have to wait for their new airport. So for those friends of Berlin who keep coming back, enjoy those benefits of traveling through TXL ( „So retro !“, „So uniquely Berlin !“ ) – and curb your curiosity asking the local people about the opening of the „New Airport“ !